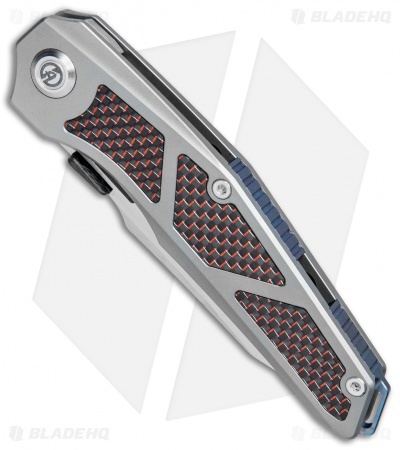 This version of the Glede folding knife is outfitted with a satin finished wharncliffe blade and a titanium handle with red carbon fiber inlays. 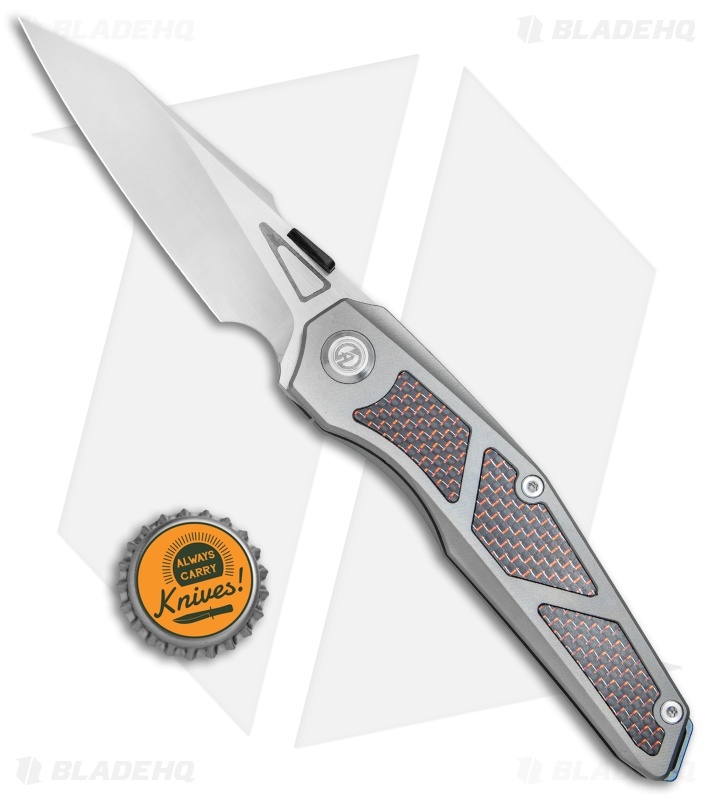 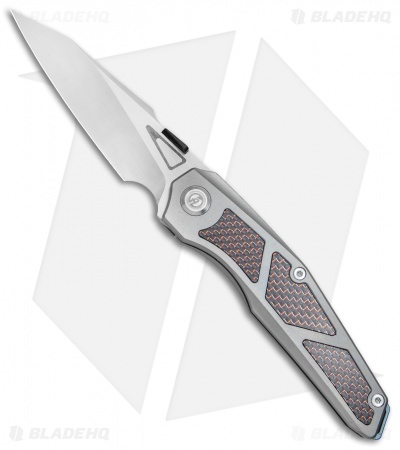 The Glede from Maxace Knives was designed to be a stylish EDC folder that can stand up to any cutting job. 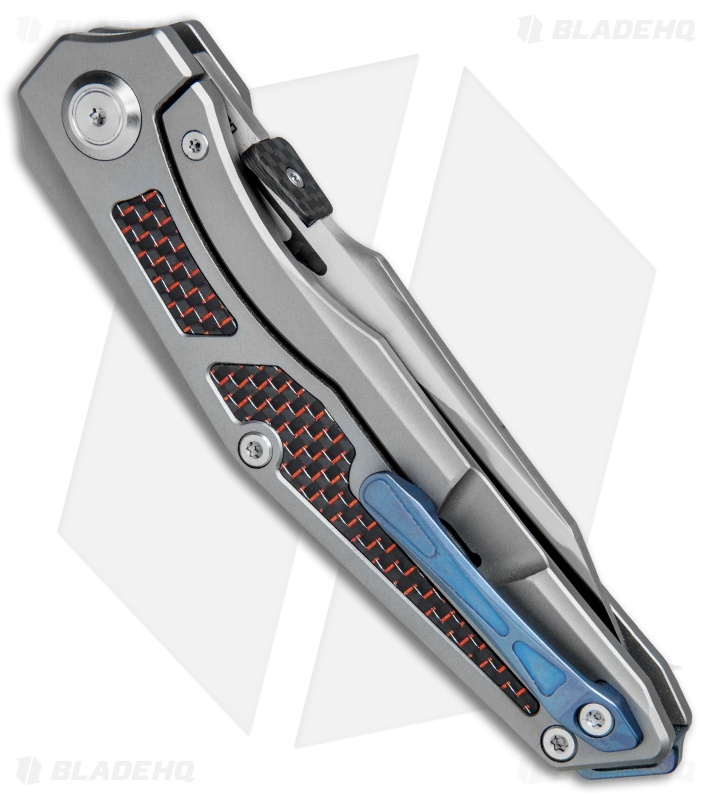 Clean lines and a modern aesthetic make this a worthy collection piece that is backed up by heavy duty titanium construction. The blade opens smoothly with the aid of a ceramic KVT ball bearing pivot and a carbon fiber thumb plate opener. A stout titanium pocket clip and lanyard hole backspacer round out the solid EDC design. Titanium frame lock handle with a reinforced steel insert for over-travel protection. 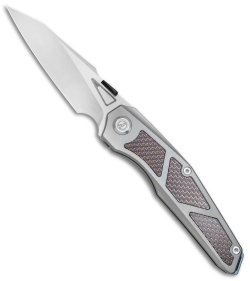 Wharncliffe blade with a sharp tip and a slightly curved belly provides a versatile utility cutting tool. Carbon fiber thumb plate offers ambidextrous blade deployment.